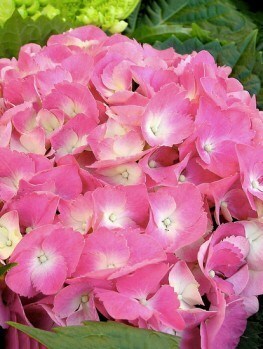 Double the petals mean double the pleasure with the outstanding Perfection Double Delights Hydrangea. 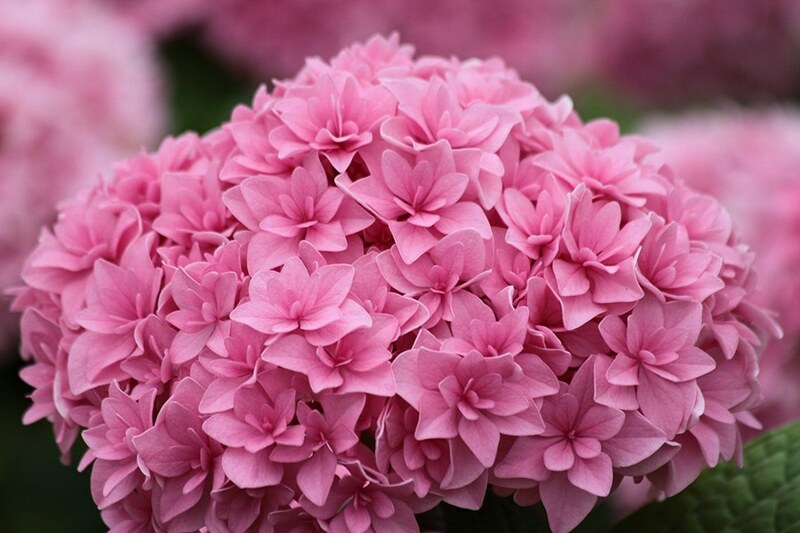 Huge, gorgeous bright-pink flower clusters top sturdy stems in a compact hydrangea suitable for small gardens, mass plantings and containers too. 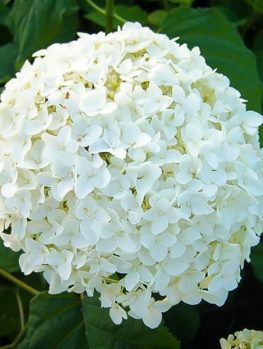 The perfect plant for a damp, shady corner or as a potted plant on your terrace, this hydrangea has the densest flower-clusters possible because each flower has twice the normal number of petals. The flower clusters just last and last, looking fresh and bold for months. The same large, rich-green leaves you expect with a hydrangea, but you won’t even see them for the masses of blooms this plant produces. 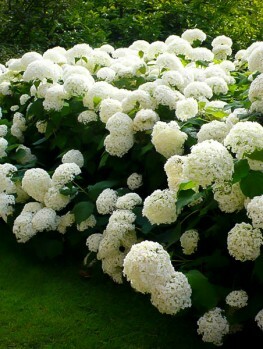 In warmer areas you will get an early crop of flowers followed by a second display in fall, before your Perfection Double Delights Hydrangea goes to sleep for the winter. 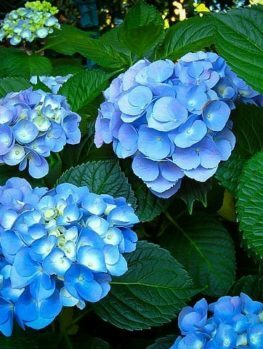 Every garden needs some color, and for many years hydrangeas have been one of the most popular and effective ways of providing it. They’re easy to grow, not too fussy about soil and if you choose the right variety they provide an impressive and long-lasting floral display. 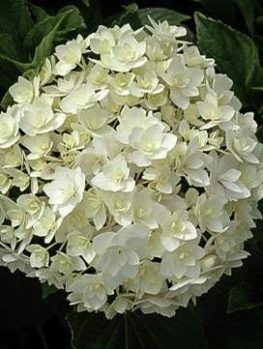 Perfection is an easy to manage bigleaf hydrangea cultivar that looks particularly good and offers a lot of options when you’re planning your garden. It tolerates a wide range of soil types and while it doesn’t like dry soil it’s not excessively demanding in terms of water either. 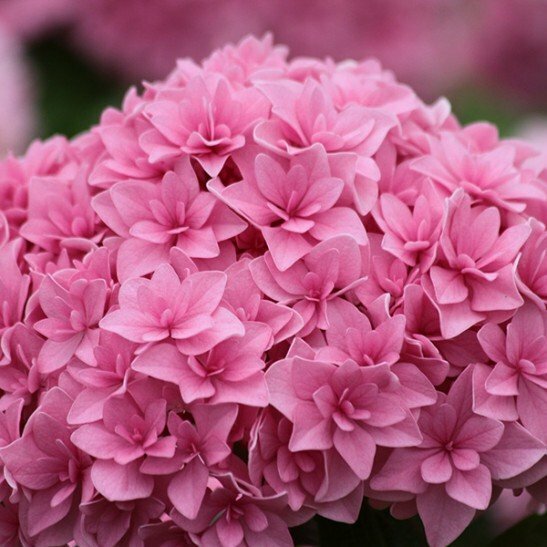 Well-shaped and bright, this is one of the more attractive hydrangeas. When mature, Perfection will be a mounded shrub between 2 and 3 feet tall and anywhere from 3 to 5 feet wide. 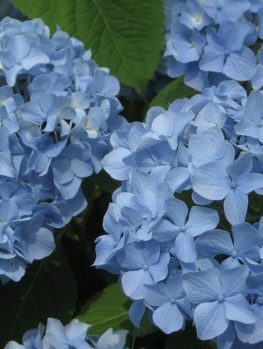 It doesn’t straggle, so it’s easy to maintain, and is smaller than many other hydrangeas. This makes it ideal for smaller gardens and it will easily reach its full size in a three gallon container. As long as the soil and climate suit it there should be no problems in creating an attractive display. Perfection will grow in hardiness zones 5 to 9, making it a suitable choice almost anywhere in the 48 contiguous states except the very northernmost parts of New England and the Midwest. It does well in loamy soil but is fairly tolerant, and with natural fertilizers can thrive in sandy soil as well. What it doesn’t like is dry soil; look for moist or wet, but well drained, ground to plant it. It also likes to have some sunlight; while it will grow in shade it may not flower very well. Find a spot that has partial shade – around deciduous trees is always good – and ideally one that gets sunlight in the mornings. This will maximize your chances of success. When planting Perfection, you should ensure that once it’s been watered in, the crown of the plant rests at or just above the surface of the soil. After planting it generally won’t need much watering in the cooler months as long as the soil is damp enough for it. If it’s in direct sunlight some watering on hot summer days will be beneficial. In summer an inch a week is a good guide, unless it rains of course. If the plant is in full sunlight and in bloom this may need to be increased to two inches a week. 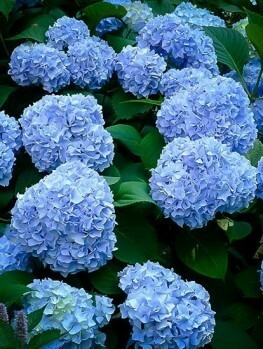 Hydrangeas don’t benefit from generous feeding with high nitrogen fertilizers; this often results in very lush foliage but a shortage of flowers. Part of the attraction of Perfection and similar hydrangeas is that once they are established, they require little attention. One thing they may need is correct pruning. In general they don’t need much unless you want to reduce the size of the plant – if that’s the case do it immediately after it’s flowered. Otherwise the best time to prune is at the end of winter. Colder weather can kill the tips of the branches, so trim them back to the first healthy set of buds. You can also remove some of the older canes at the same time, which will promote new growth. Don’t overdo it though; if you prune excessively and take away too many buds that year’s bloom will be disappointing. If you live in a colder region, Perfection may need some shelter in winter. When choosing a spot to plant them consider winter weather; temperatures are usually more consistent on the north and east sides of your property, while too much winter sun can make the buds open too early. To protect against chilly winds consider a burlap screen, or even a burlap frame filled with dry leaves. These will help minimize winter die-back. Hydrangea macrophylla is native to the Far East and has long been cultivated in Japan and China, but has earned its place in gardens around the world. 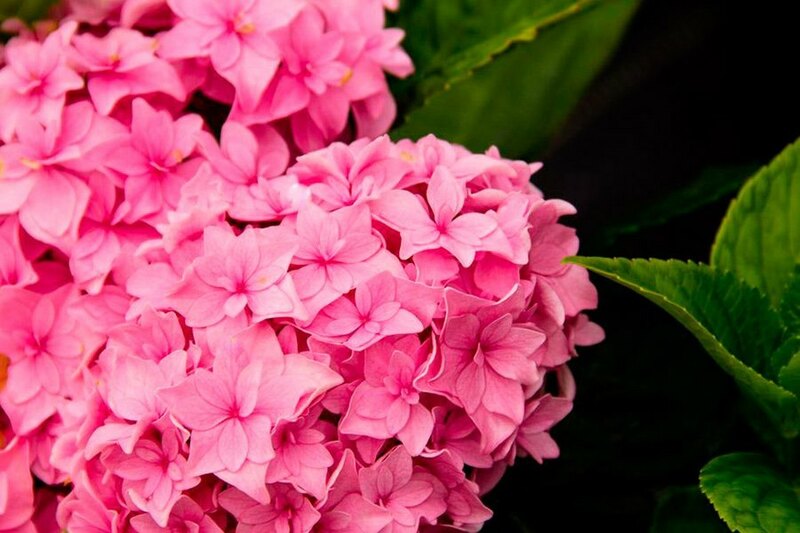 In fact it’s so popular that there are now hundreds of varieties and hybrids, offering size and colors to suit any garden combined with varying degrees of hardiness. Perfection is a fairly recent variety, first bred in 1996 by Japanese breeder Ryoji Irie. 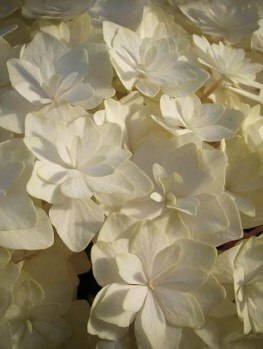 To create Perfection, Ryoji Irie crossed an unnamed Hydrangea macrophylla as female parent with the “Yamaajisai” cultivar as the male. The result was a compact plant, ideal for smaller gardens, which grows into an attractive mounded shape and has very strong stems to bear the weight of its prolific double flowers. It’s a re-blooming variety and usually flowers from spring right through to the first frosts; this makes it easy to keep your garden colorful right through the summer without the complication of selecting plants that will bloom sequentially. The sterile flowers form large, dense balls and appear on both new and old growth. Their color varies from pink to purplish blue depending on soil pH.